Celebrating 340+ School Clients. Thank you to all! 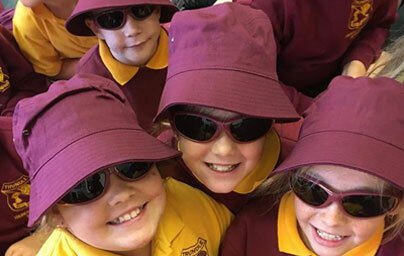 School Shades is Australia's leading supplier of quality UV protective sunglasses to primary school aged students. We are dedicated to ensuring that all Australian children have healthy eyes protected from harmful ultraviolet (UV) rays. School Shades completes the final stage of protection in your school's sun-safe policy. School Shades are an investment in the eye health of your valuable students. 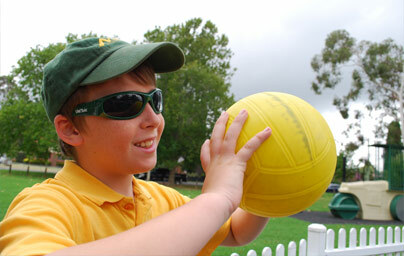 School Shades sunglasses offer the ultimate in UV protection for young eyes. The frame and lenses have been approved by ORLAB at UNSW as fully complying with AS/NZS Standards 1067:2003. The frame and lenses have been approved by ORLAB at UNSW as fully complying with AS/NZS Standards 1067:2003. Lenses are constructed of the highest quality polycarbonate, being light, comfortable and shatterproof. Available in 6 colours and 4 sizes. Each pair of sunglasses comes with a durable protective casing and high quality microfiber cleaning cloth. 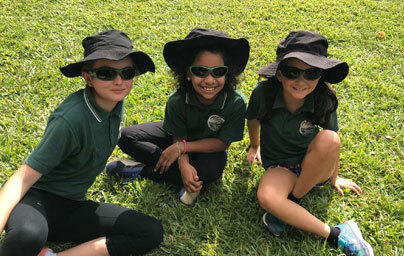 School Shades are dedicated to providing primary school aged student access to the highest quality pair of sunglasses and protection against the long-term harm from ultraviolet rays. Copyright © 2019 School Shades. All rights reserved.